OWN SOME FLORIDA WARMTH WITH MINTO! ≈ Comments Off on OWN SOME FLORIDA WARMTH WITH MINTO! Minto is a trusted name in real estate in both Canada and the United States, and is one of Florida’s largest builders. Baker Real Estate is proud to represent this renowned company’s eight Florida properties from our office in the Sunshine State! And from now through March, Minto is conducting an “Own Some Florida Warmth” campaign, offering Canadian buyers $5,000 USD toward options in their new Minto home down south! What a fabulous opportunity to find just the right second home in a diverse collection of Minto communities on both Florida’s east and west coasts. In the east, Artesia is a collection of 900 European-style, move in-ready townhomes in Sunrise, close to shopping and entertainment venues and only a short drive to Ft, Lauderdale and Miami. Prices range from $263,900 at 1,444 sq. ft. to $348,900 at 2,464 sq. ft. for these sophisticated homes. Situated in beautiful Cooper City, Cascada at Monterra is a magnificent gated neighbourhood of 148 move in-ready townhomes starting from $222,990 at 1,461 sq. ft. to $272,990 at 1,725 sq. ft. These two- and three-bedroom courtyard homes feature Santa Barbara and Palm Beach-inspired architecture with covered patios and balconies, and two-car garages. The community has a pool, clubhouse and recreation centre. Cascada is also close to Ft. Lauderdale and Miami Beach. If affluent Wellington is your residential destination, discover one of Palm Beach County’s finest master-planned communities – Olympia. There are 1,762 detached single-family move in-ready homes in the neighbourhood, starting from $286,990 at 2,033 sq. ft. to $628,990 at 5,419 sq. ft. Select from Missions, Palm Beach and West Indies-style homes in this community of more than 240 acres of lakes and wetland preserves, including Lake Olympia. Minto’s community features an elegant Clubhouse and a lagoon-style pool with fountains and an island spa. 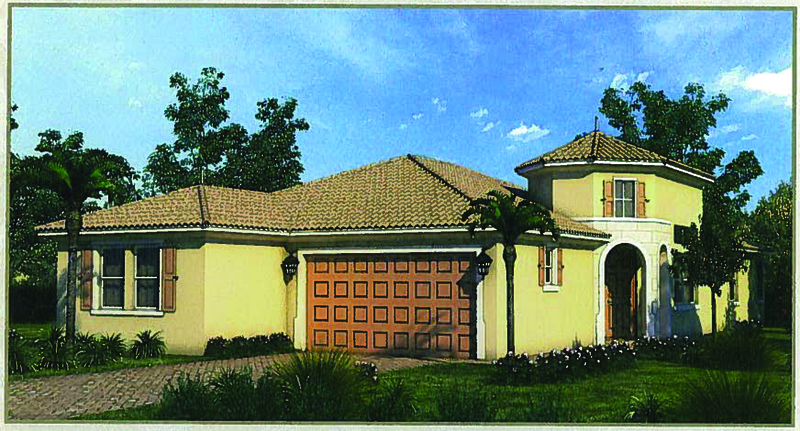 Also in prestigious Palm Beach County, Porto Sol is a Minto community located in Royal Palm Beach. Offering luxury and value, these 499 detached single-family move in-ready homes start from $243,990 at 1,895 sq. ft. to $363,990 at 3,434 sq. ft. Choose from spacious one- or two-storey living in a variety of designs. This community is also home to more than 100 acres of lakes, preserves, other natural areas and a gorgeous clubhouse with a pool, fitness centre and billiards room. Port St. Lucie provides the setting for Minto’s Town Park at Tradition, a collection of 1,100 move in-ready detached homes ranging in size from 1,897 to 3,242 sq. ft., priced from $181,990. Port St. Lucie was named one of the best places to retire by portfolio.com. At Town Park, live surrounded by lakes, preserves and open areas with walking trails, a recreation centre with resort-style pool and a dog park. Golf courses, beaches and shopping are all close by. Heading to the west coast, Lakewood Ranch Country Club East is situated in one of the country’s most acclaimed master-planned golf club communities, a short drive to Tampa’s metropolitan area as well as beaches, restaurants and golf courses. Minto’s 115 move in-ready detached single-family homes start from $379,958 at 2,705 sq. ft. to $469,958 at 3,785 sq. ft.
Bradenton is the location for Harbour Isle Anna Marie Sound, Minto’s gated waterfront community with 48 condominium/ townhomes. 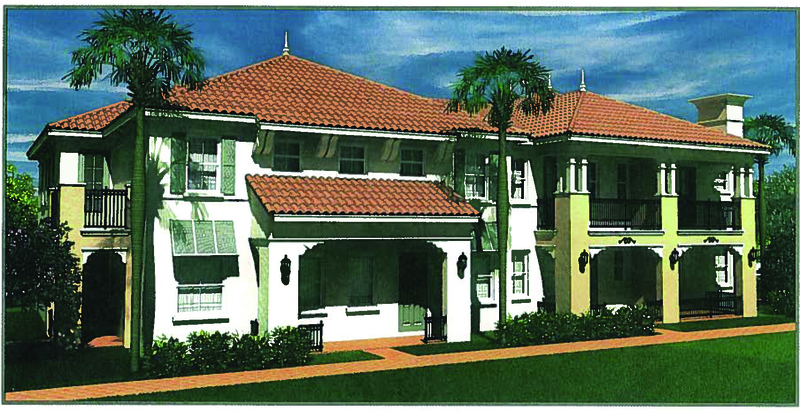 Created in the Southern coastal architectural style, these move in-ready homes start from $334,900 at 1,621 sq. ft. to $473,900 at 2,960 sq. ft. The community has a kayak launch, beach club and marina, and is minutes from local amenities. Sun City Center a 55 and Better Community beckons with 1,000 move in-ready homes in a multitude of styles including single-family homes, estate homes and paired villas. Prices start from $157,900 at 1,550 sq. ft. Discover easy, carefree living in the area named to the Hall of Fame of Best Master Planned Communities by Where to Retire Magazine. Golf cart paths in the community lead to nearby local amenities. Isn’t it time you “Own Some Florida Warmth”? To find out more about these Minto properties, visit www.baker-re.com, or call us at 416-923-4621 in Toronto, or in Florida 561-447-4007 or toll free 855-BAKER11.